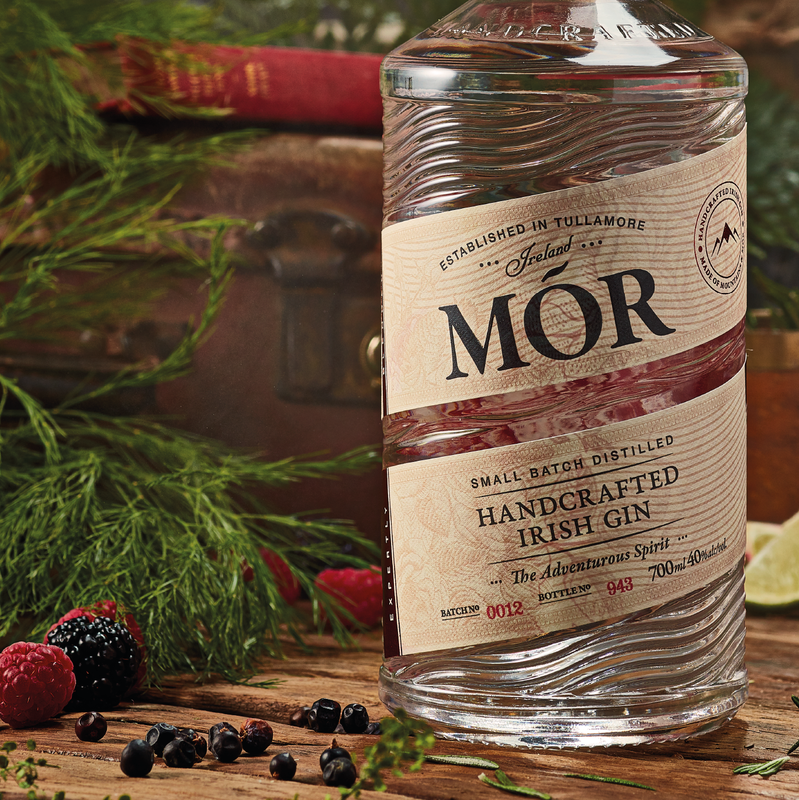 Branding and Packaging design for Mór Irish ​Gin. ​ At the heart of the brand is Tullamore. It serves as the inspiration for the design of the label. 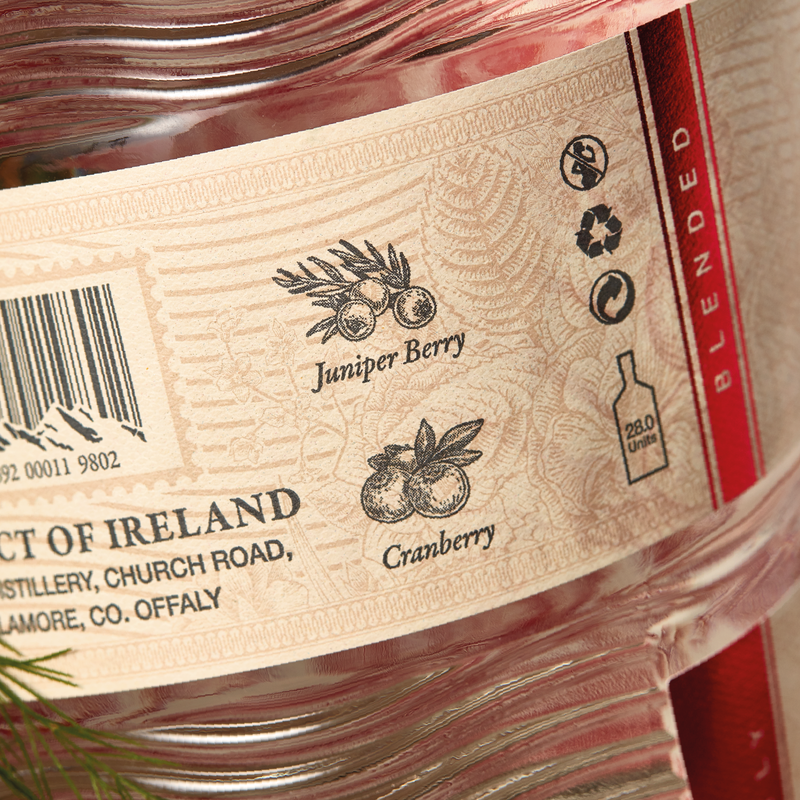 The unique wrap-around label was inspired by the Grand Canal which bends and weaves its way through Ireland and on whose mercurial banks Tullamore flourished. 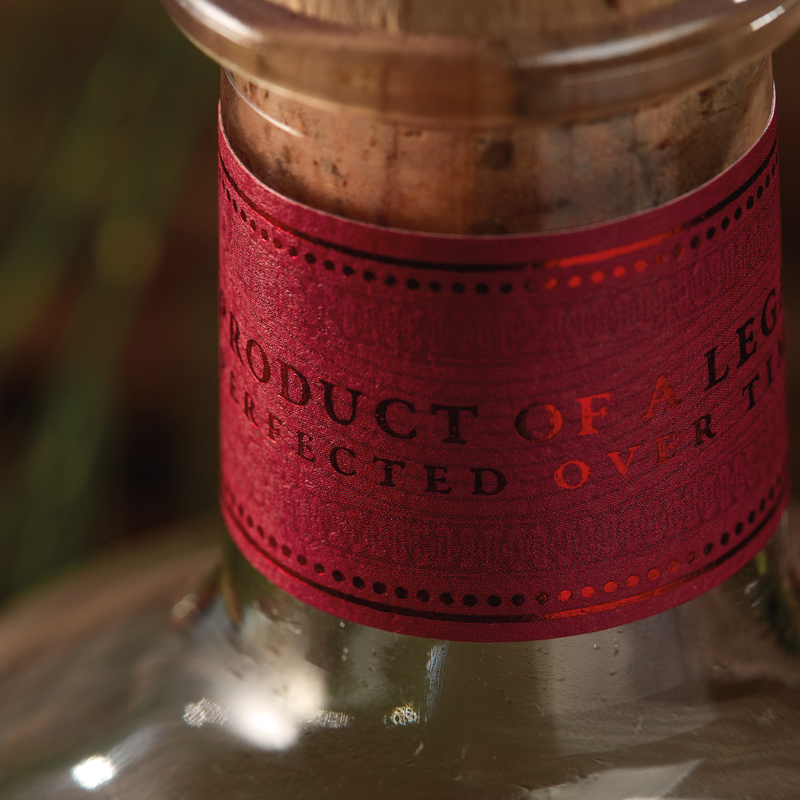 Mór is very much a product of its surroundings and we wanted the label to evoke this. 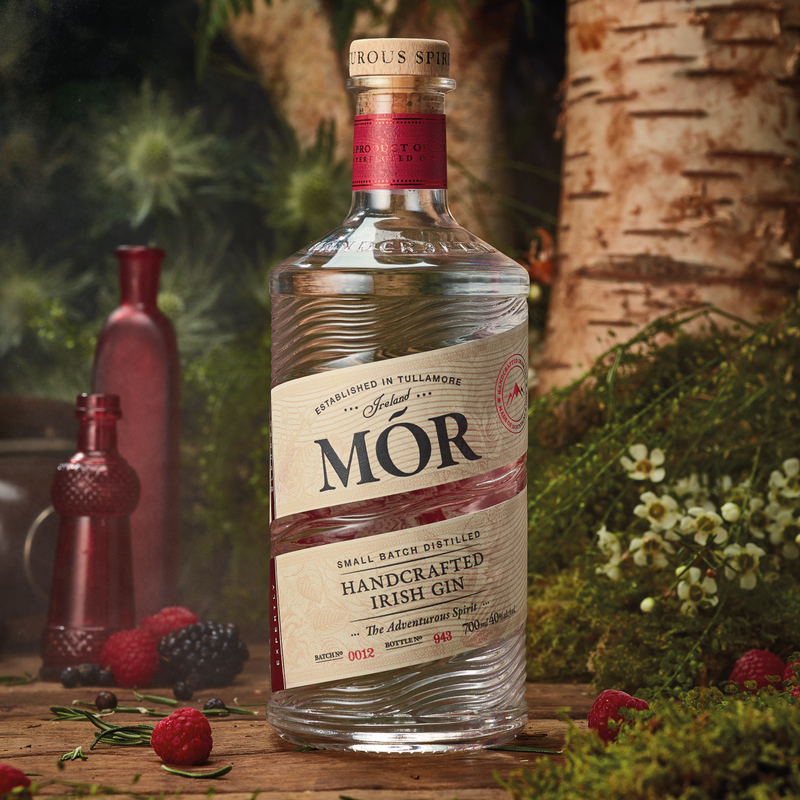 The theme reflects the wild environment from which Mór source their botanicals. 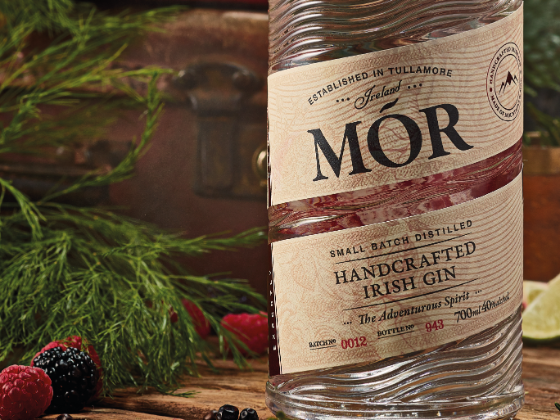 It was also styled in this way to evoke the Adventurous Spirit theme that runs through the Mór branding. 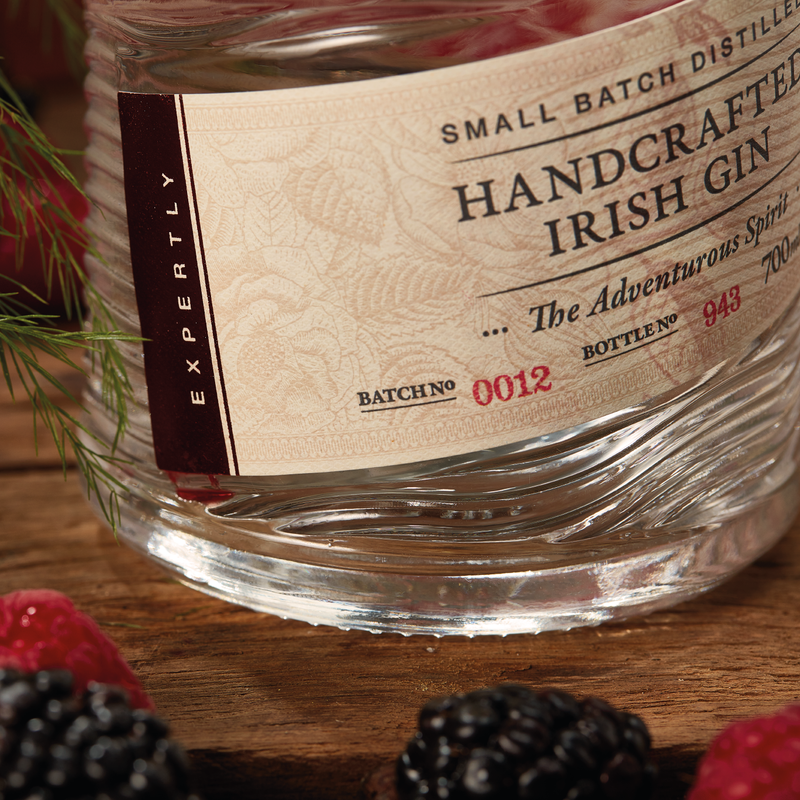 Put simply Wild Berry Irish gin is the product of an exciting exploration into the unknown to find the finest wild berry botanicals possible. Unique custom Bottle design and wrap around Label. The design has won multiple awards for packaging and the gin itself.